Hey ya'll, I'm just your average female American tween animator! I like making animations for you to enjoy:D Please make sure to check out my projects and S M A S H dat follow button! Thanks to @FroggyRuff for the amazing logo! 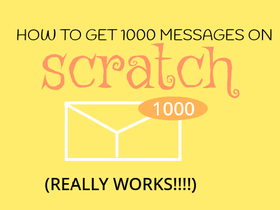 How To Get 1000 Messages On Scratch!